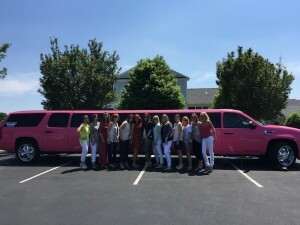 North Carolina Wine Tours | Johnny B's Limo will custom design the perfect wine tour for you! Everyone will enjoy a relaxing day- leave the planning to us! Call 704-649-3068 for a quote now! 10% Discount on a wine tour Tuesday-Friday and Sunday!! 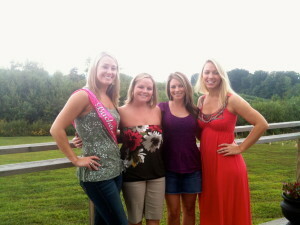 Leave the wine tour planning to us!! 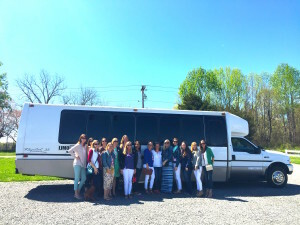 Johnny B’s Limousine Service will do all of the planning for your wine tour. We will call the wineries and make your reservations. We can pre-order you lunches at the Amish deli, if you need. 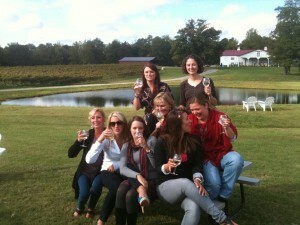 We have helped to plan hundreds of successful NC wine tours. We fully understand the complexities of the day, and are delighted in being able to share our expertise with you! Tasting fees are not included. We have had many tours where one or two of the guests do not want to partake in some of the tastings, therefore we do not include these fees in our pricing. Lunch is not included. The Shiloh sandwiches are $6.00 per person, and the restaurants vary in pricing. No extra fees- unless your pick-up location is outside of our usual pick-up area. Gratuity for the Chauffeur: Not included in the pricing. 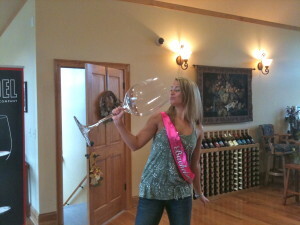 Water, ice, napkins, and glassware/plasticware are included in the pricing of all of Johnny B’s Limousine Wine Tours. Gratuity for the Chauffeur, tasting fees for the wineries, and lunch are not included. Not that you really need a reason to enjoy a limousine wine tour, but here are a few excuses to go! Have the party in the limousine! 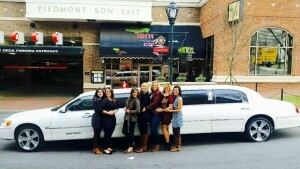 so why not have the bachelorette party in the limo? Whether it is your 30th, 40th, or 80th birthday, North Carolina has a wine for you! We will festively decorate the limousine in the birthday colors of your choice! Seriously, you work hard! Go have a fun day with your friends in relaxed comfort and style!!! What would you like for lunch? We recommend the Shiloh General Store for their fantastic sandwiches. Lenora will pre-order them for your convenience. We recommend having your guests arrive at the residence of pick-up at least 45 minutes before the limousine is scheduled to arrive. Perhaps offer them a hearty breakfast to prepare them for their day! We typically pick up your group between 9:00am and 11:00am. 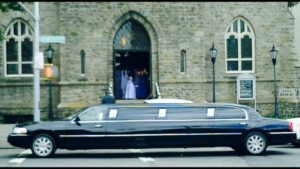 The chauffeur usually arrives 15 minutes early to help your party load your things into the limo. Your fantastic chauffeur will then take photos of your group, if you would like. It takes approximately 1 hour and 20 minutes to drive to the Yadkin Valley Wineries, or to the Childress area from downtown Charlotte, NC. The amount of time you will need depends on where in the greater Charlotte area we pick you up from, and how many people are in your group. We generally try to visit vineyards that are close to each other so your group spends more time tasting delicious wines than driving all over the place! 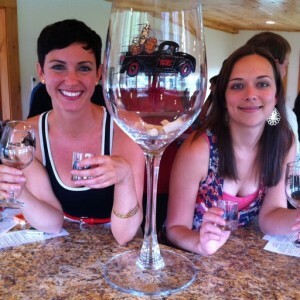 We average 3-4 wineries per tour, depending on the number of hours you reserve. 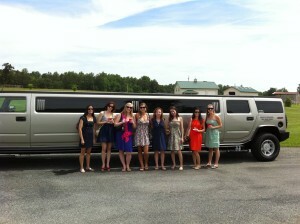 This depends also on your pick up location, the size of your group, and the NC vineyards we choose to visit. At the first stop, we will have our tasting and lunch, and then two more stops for tastings. Some groups choose to do a tour of the vineyards, some prefer the wine tastings only. Some groups have a fast-pace, most do not. We will be able to accommodate your group’s pace for the day by planning for both. 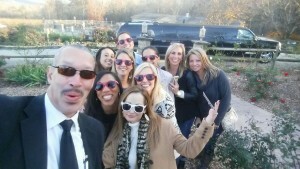 Thank-you for your interest in Johnny B’s Limousine Service! We are a family-owned and operated luxury transportation provider for the greater Charlotte area. We are also the largest luxury transportation provider for Union County. We pride ourselves in fantastic customer service, superior vehicles, prompt, dependable service, and excellent chauffeurs! We have proudly served the greater Mecklenburg and surrounding areas for the last eight years. In this time, we have come to understand what clients expect in luxury limousine transportation. Dependability of not only the limos, but also of the company itself is extremely important. Cleanliness of the limousines and sedans is a must. Your chauffeur should be familiar with your itinerary and be immaculately dressed as well. 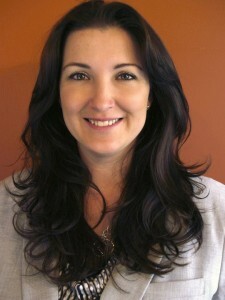 It is important to have the option of viewing the vehicle you choose before you sign a contract. 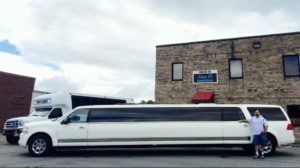 Please feel free to make an appointment to come by our showroom to view our beautiful limousines! Johnny B’s Limousine Service understands your needs, and will go above and beyond to surpass them. We will happily service all of the areas below.Please keep in mind that the further away from the wineries your pick up is, the more amount of time your wine tour will require. There may also be a fee depending on how far your pick up location is from our office in Indian Trail, NC. Balance is due 2 weeks prior to event. Prices advertised on this website are apt to change without notice. It is also non-refundable. Pricing and availability will change on Saturdays in April and May due to high volume. Client is responsible for any damages to vehicle done by anyone in their group. Cash paid in full prior to event is also welcome, but a credit card may be required to be on file in case of overtime or incidentals. All of our Chauffeurs are background checked by Homeland Security, are drug tested, and are permitted by the Char-Meck Police Dept. annually. All of our limousines go through 6 yearly inspections including Federal DOT inspections. We are fully permitted to do business at Charlotte-Douglas Airport, Wilson Airport, and the Monroe Airport. Call 704-649-3068 for any questions! Thank you! © 2019 North Carolina Wine Tours.